With social media becoming a must-go place for every business to spread awareness, find new customers and engage with existing ones, and learn the sentiment of their consumers, the orientation of the market, and future trajectory, the demand of social media management software has increased exponentially. According to Technavio, the global social media management software market is inclined to grow at a CAGR of 14.57% during the period 2017-2021. So, it’s a noble idea to invest in the development of social media management tools like HootSuite, Hubspot, MeetEdgar, TweetDeck, Buffer, etc. However, you need to think very meticulously as what is required. 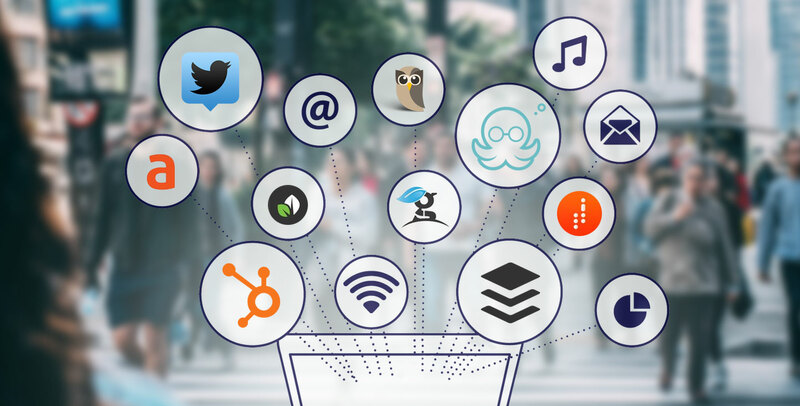 Here is a list of 10 Must-Haves of a Social Media Management Software. Do you plan to make a status update on how you are feeling today, how the weather is or what you had for lunch? Obviously, you won’t. But can you do the post about a product launch on your company’s Facebook page or Twitter handle? The message is clear, making a post on a business page requires subtle sophistication. Not just about the caption, tags, and images, but also regarding timing. Why timing? The average expiry time of a tweet is hardly 20 to 30 minutes, for Facebook, it could be 30 minutes to 1 hour, and the same goes with LinkedIn. Hence, it’s of no use to post a content when your audience is sleeping, or when they can’t be on their preferred platform. However, it would be a trying job to wait for the audience to come online and take actions. Update sharing become even more tedious when you and your audience belong to different time zones. Digital marketing agencies, entrepreneurs or in-house digital marketers - for everyone time is a crucial factor. They all want to save time. Hence, make it easier for them to share multiple posts with their audience at the right time. Bulk scheduling releases them from the clutch of revisiting different profile pages again and again. The bulk scheduling feature allows users to schedule content to post automatically throughout the day or week. Integration of a post scheduling feature is something that you can’t afford to miss. Social media posts evoke real-time conversation, and it’s essential that businesses respond to their audiences as quickly as possible. For instance, a consumer who has raised concern about a brand’s product or service is looking for a quick response. Any failure of the brand to respond to it will only jeopardize the brand’s reputation, and that in turn might impact the purchase decision of hundreds and thousands of consumers who might have been considering to raise a query or request a product/service. So, a social media management tool must bridge the vendor and consumers on a real-time basis. Real-time analytics provide wonderful insight that can unveil a lot of the user behavior and interests. Make your social media management software to track user engagement across all key social channels, including Facebook, Instagram, and Twitter. People get more involved when they are challenged. So, with your social management tool, enable businesses to create engaging contests for their audiences. This feature not just helps them with driving user-engagement but also curtailing their digital marketing budget. Provide flexible templates that can help end-users create templates without any technical or design expertise. They can leverage it to generate leads by easily building social sweepstakes and sign-up contests. Doing so, you help your clients to discover, review and post content from third-party sources that are relevant to their industry and that will resonate with their audiences. The automation saves times and fuels the digital marketing initiatives of a brand. Engaging content plays a key role in driving brand awareness and customer acquisition. ROI - return on investment, this one metric overpowers all, or we can say, ROI is the combined result of all metrics involved. Hence, your clients would be interested in knowing the impact of your their social media marketing endeavor. So, equip your social media marketing or management tools with the right user analytics. What’s that right? Well, the business model could be the same, but their objectives could be different. So what does wonder for company A, might not work for B. Make your social media marketing or management tool accessible by different users with different sets of permissions. It will help digital marketing agencies and in-house marketing teams to distribute or allocate their projects to different users and keep a tab on each for qualitative and quantitative deliverables. Let marketers or any users export the data retrieved from the social media management software to users across different devices and operating system platforms. Make your report available in various formats, including CSV, TSV, TSV for Excel, Excel (XLSX), Google Sheets and PDF so that recipients can access it with ease. On social media, once the publish button gets clicked, things go beyond the control of the user himself or herself. Hence, digital marketing agencies and enterprises handling social media marketing or management job must adopt or maintain some sorts of hierarchy within their team - from content development to editing to publishing. Doing so, they can have a better quality check on what’s going into the public domain or to the audience. Let your clients have the flexibility to rope in data or insights collected from other tools or extensions into the social media management software they use. Provide an easy-to-use integration tool. This will help them make their social media marketing campaign more result-driven. If you are hiring some social media app development company for your project, then make sure the vendor is capable of rendering round-the-clock support for the built product. It must have the capacity and skills to cope with your growing user base and their queries or concerns. The better service translates into improved client-satisfaction and better ROI.